The OT video tutorials provide an audio-visual demonstration of different aspects of proposal preparation in the OT. Novice users should start with the first video and work their way down, while more experienced users may want to jump straight to one of the specialised videos. The video tutorials have not been updated for some time, but continue to be available in the hope that they might prove useful. Some new features, however, will not be covered and the appearance of the OT will have undergone some changes. This video will help you get started with the OT and introduce you to some handy tips and tricks. Topics covered include navigating the OT, using the help function, the template library, time estimation, validation, opening & submitting projects including re-submissions, and the concept of non-standard modes. 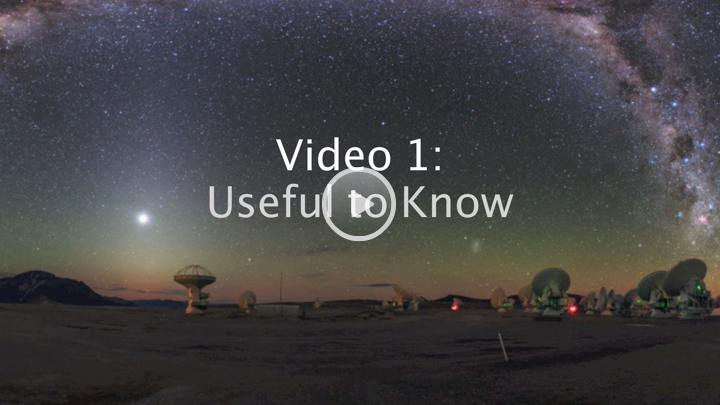 Although this video is from Cycle 4, it will still give a useful introduction to the OT. Note that time constraints can now also include simultaneous 12-m and 7-m observations and re-submissions are no longer defined by the user. 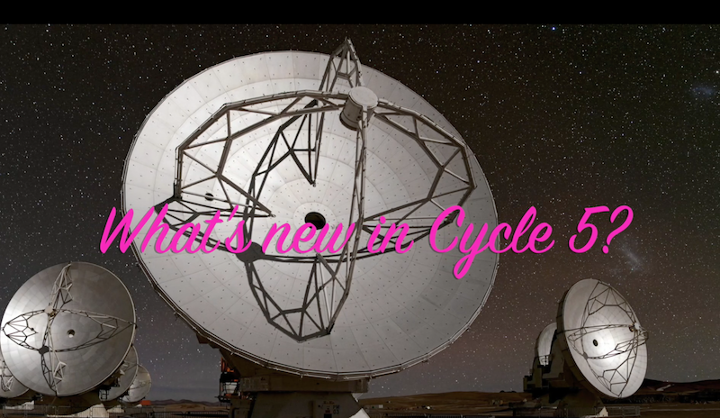 This video highlights the new capabilities and OT features that were introduced in Cycle 5. Topics covered include the new interface for specifying the desired angular resolution, Band 5, 90-degree Walsh switching for Bands 9 and 10, defining rest frequencies and cloning sources. 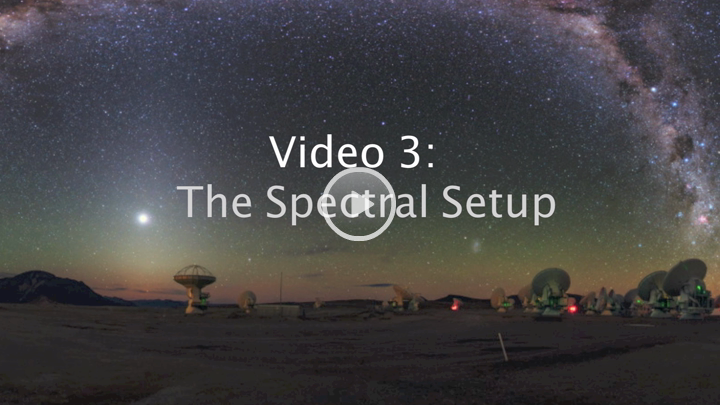 This video introduces the spectral visualisation tool and explains how to define the spectral setup, covering continuum, spectral line and spectral scan observations. Note: this video is from Cycle 3, some things have changed slightly since then. In particular, Band 5 and 90-degree Walsh switching are now offered. 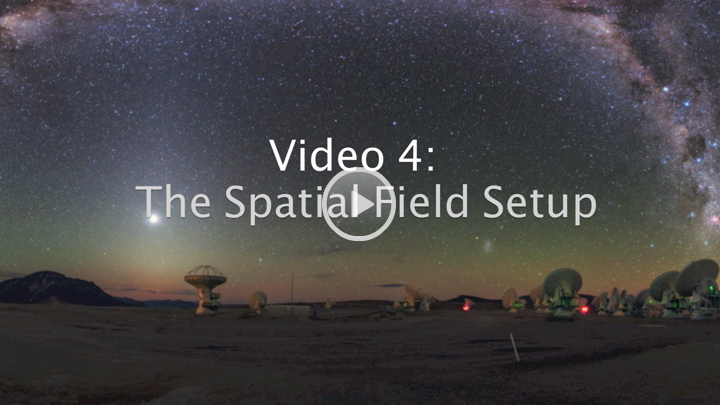 This video shows you how to use the spatial editor and define the spatial field setup. It is recommended particularly for users that wish to set up multiple pointings or mosaics. Note: this video is from Cycle 3, some things have changed slightly since then. In particular, pointings within one source must now overlap, and the Clone button is now available. 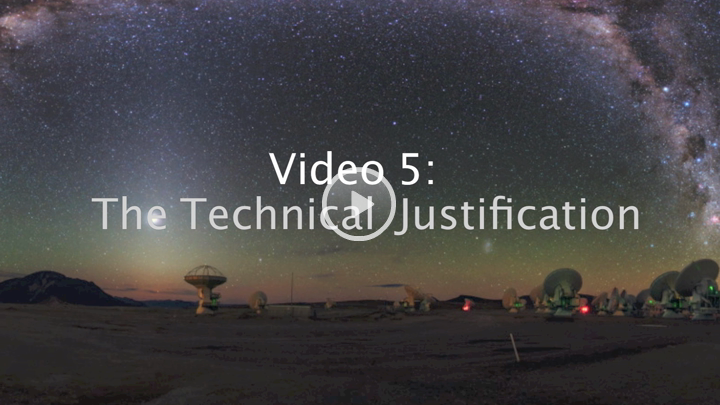 This video explains how to fill in the Technical Justification, and issues to check and be aware of. Note: this video is from Cycle 3, however the functionality is the same.